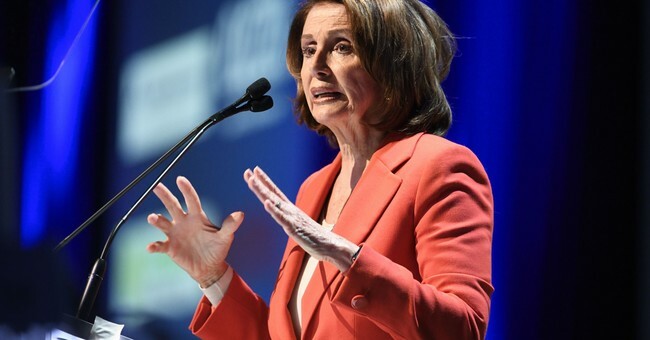 House Minority Leader Nancy Pelosi (D-CA) addressed the topic of a litmus test for the Democratic party on the issue of abortion Tuesday while answering questions from students at Georgetown University. Pelosi not only said that she did not support a litmus test, she also pointed out that Democrats have pro-life voters, and that a primary reason Trump won with people of faith was the abortion issue. “Do you believe that the Democratic party should have litmus tests for its candidates for public office?” a student asked. “I always tell our candidates your job description and your job title are one and the same: representative,” she replied, pointing out that pro-life Democrats are representing pro-life Democratic voters. “When the day comes when we can say we don’t want any of our voters to be anti-choice then I think we have a right to say we don’t want any of our candidates to be anti-choice,” she said. Pelosi went on to defend her support for abortion in spite of her Catholic faith and admitted that her own family is not thrilled with the position she takes on the issue. “I am fully you know I’m a mother of five, I am fully with the Catholic program,” she claimed, describing her own experience as a mother. Pelosi was likely referring to Rep. Dan Lipinski (D-IL), a seven-term incumbent who recently won a primary against pro-abortion candidate Marie Newman. Pelosi backed Lipinski in the race despite the fact that many of his far left colleagues and the Democratic National Party would not endorse him. "This isn’t a pragmatic decision, it’s just a respectful decision,” Pelosi said of her tolerance for pro-life Democrats like Lipinski.